When you need to make a foreign exchange transaction, it’s important to explore all your options so you get the most bang for your ‘Buck’… or Pound, or Euro. Using a currency broker to manage your foreign exchange requirements can save you money in several ways; the first of which is through the offering of a more competitive exchange rate. We all want to save money where we can, and that’s why using a broker can be so beneficial. Currency brokers such as TorFX can beat the exchange rates offered by banks by up to 3%, that in itself can result in a massive saving when you’re buying property or transferring a large amount of money. For example, if you purchase a property in Spain for €200,000, transferring your funds at 84 pence per Euro with a broker (rather than 82 pence per Euro with a bank) could save around £4,000. That means you could furnish your new home abroad with just the money you saved by using a reputable broker. Although smaller transactions won’t see such significant savings, if you need to make frequent overseas payments, over time and you could save hundreds, or even thousands of Pounds. Another way a broker can help you save money is by working on a fee and commission-free basis. Banks can tag on all sorts of costs when conducting a currency transaction, such as transfer fees which range between £10 and £40 per transaction. Additionally, there are flat fees, minimum charges and commission fees to consider which can all add up. Furthermore, if you’re investing in a property abroad, it can be worthwhile looking into the specialist services a broker can offer, like forward contracts. This option allows you to agree upon and ‘fix’ an exchange rate for up to two years before you make a transaction, a useful tool for those who need to wait for a property sale to go through before changing funds. Other perks to using a broker include being assigned a personal Account Manager who’s available for you to contact directly with any queries and offer specialist insight to help you decide on the most opportune time to trade. In addition, currency brokers can offer you cost-effective frequent money transfers in the form of a Regular Overseas Payments service. The ROPs programme offers you a commercial rate for recurrent transactions and fast, free currency transfers on a pre-set date of your choosing. When you’re looking to move money abroad, whether it’s for business, pleasure or property purchases, using a reputable currency broker can save you large amounts on your transactions. 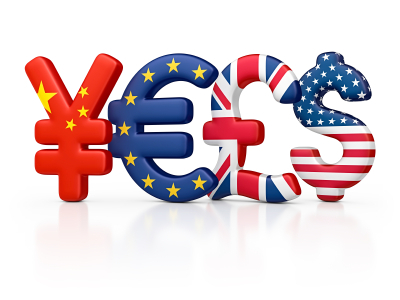 The benefit of using a money broker over a bank for exchanging foreign currency.